It’s time once again for the Watcher’s Council’s ‘Weasel Of The Week’ nominations, where we pick our choices to compete for the award of the famed Golden Weasel to a public figure who particularly deserves to be slimed and mocked for his or her dastardly deeds during the week. 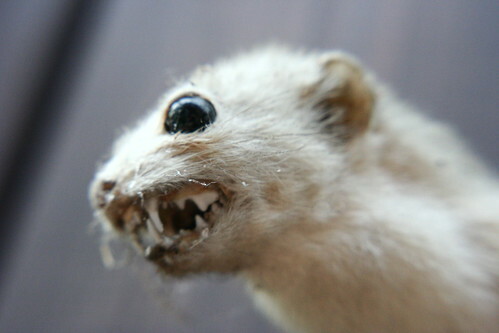 Every Tuesday , tune in for the Weasel of the Week nominations! Hollywood Wack Job And Dictator/Psycopath Groupie Sean Penn!! The Noisy Room : I nominate Sean Penn for hearting every dictator and commie under the sun. His latest is El Chapo, who he inadvertently helped capture because he was interviewing him for a magazine that would make the drug pin look like some kind of hero. Then Penn jetted off to North Korea to pal around with another psychopath. What about violating the Logan Act? Don’t we charge anyone with treason anymore? Geez. Penn has met with one of Saddam Hussein’s top aides, then-Deputy Prime Minister Tariq Aziz. Penn’s opposition to the Iraq war led him to bond with the late Venezuelan President Hugo Chavez, an ardent socialist who once suggested that the actor would make a great ambassador to his country. Penn’s other forays into political activism include his foul-mouthed call for the impeachment of President George W. Bush when he won the first Christopher Reeve First Amendment Award in 2006. He also has a fondness for the Castro brothers. Finally, he is buds with the Russians who are touting that he helped capture El Chapo. Uh no. That’s not what happened. However, for being a commie Hollywood weasel, I wouldn’t want Penn to go home empty handed – give him a golden weasel. Twice. and went right ahead with the easing. Some members of Congress were told. The State Dept. does not deny that the U.S. may have sold the missile to Cuba. Sweden’s Anti-Semitic Foreign Minister Margot Wallström!! JoshuaPundit : Ahhh, when in doubt blame Israel. And by extension, the Jews of course. Margot Wallström is the rabidly socialist Foreign minister of Sweden. She claims to be a ‘feminist’ who favors ‘democracy’ but was instrumental in getting Sweden to recognize ‘Palestine’, a country without borders as a ‘state.’ Palestine, by the way, is a place where a kleptocrat dictator named Mahmoud Abbas is now in year 11 of a four-year-term, where what passes for law is based on sharia and where things like honor killings, torture, and the oppression of women occur with distressing regularity. But hey, let’s not mention any of that. Because it’s all the fault of Israel! Or so you would think if you listened to Minister Wallström. A few weeks later, she accused Israeli security forces of carry out extra-judicial killings in defending themselves and others against – wait for it – Arabs whom call themselves Palestinians whom were actually in the process of murdering as many Israelis as possible in vicious terrorist attacks. Her latest bon mot? Today, after Swedish member of parliament Jan Björklund challenged her frequent obsession with Israel as being unfair and said that it had damaged Sweden’s diplomatic efforts in the region, she doubled down, saying, “It is vital that there is a thorough, credible investigation into these deaths in order to clarify and bring about possible accountability.” Obviously she has no interest in investigating the role of incitement and collusion by Abbas and the PLO for ‘possible accountability’ as a cause of the deaths of Israelis. Quite the Weasel, Ms. Wallström!